The hotel offers two towers. 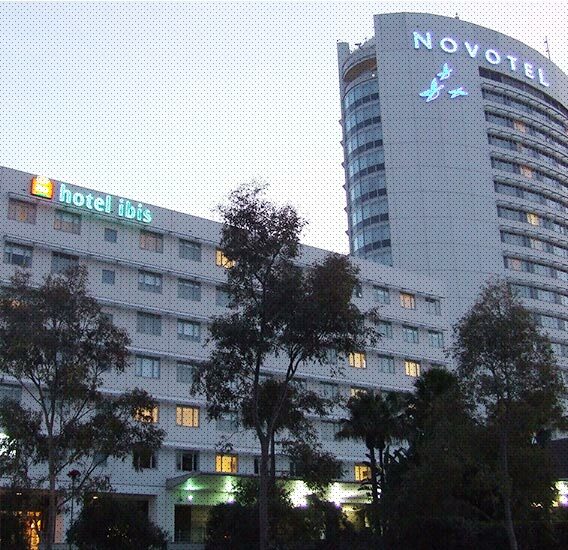 The 19-level Novotel tower has 168 four-star rooms, and the nine- level Ibis tower has 150 three-star rooms. The hotel includes four functions rooms, a ballroom, an upper level observation deck, coffee shops, bars, restaurants and parking for 150 cars. The hotel includes initiatives designed to reduce the consumption of energy by 40 per cent and to reduce the use of potable water by 50 per cent and to minimize waste.